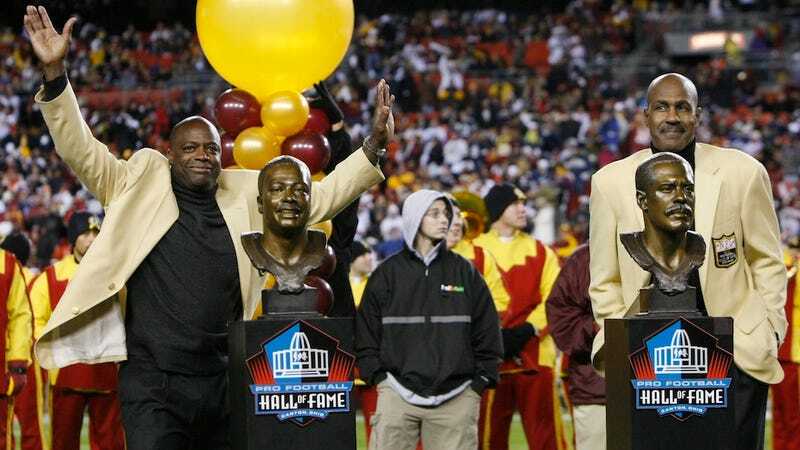 Darrell Green and Art Monk are two of the most storied names from the Washington Redskins' 1980s-early '90s golden era, with five Super Bowl rings between them. Green, known as the NFL's fastest man for much of his career, played 20 seasons in D.C. Monk, at the time he retired, caught more passes than anyone in league history. In 2008, they went into the Hall of Fame together. And now they say they've got a problem with the team's racist nickname. "[If] Native Americans feel like Redskins or the Chiefs or [another] name is offensive to them, then who are we to say to them 'No, it's not'?" Monk says. "It deserves and warrants conversation because somebody is saying, 'Hey, this offends me,'" Green says. Monk went on to say the franchise should "seriously consider" changing its nickname. He added that he doesn't know if that change will ever happen.